Angry Birds has been updated with 15 new levels for the 'Mini and Dine' episode. The survival of the Angry Birds is at stake. Dish out revenge on the green pigs who stole the Birds' eggs. 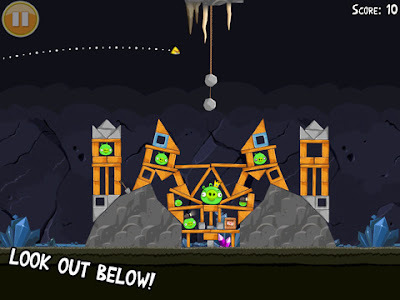 Use the unique destructive powers of the Angry Birds to lay waste to the pigs' fortified castles. Angry Birds features hours of gameplay, challenging physics-based castle demolition, and lots of replay value. Each of the 270 levels requires logic, skill, and brute force to crush the enemy. Mining and Dining with the burrowing piggies continues! With a bottomless appetite, the bad piggies have burrowed deep in underground caverns to hide the eggs they stole from you. Use the landscape and geology to your advantage to chase the pigs out of their hiding holes, gather rare gems, and retrieve the eggs! 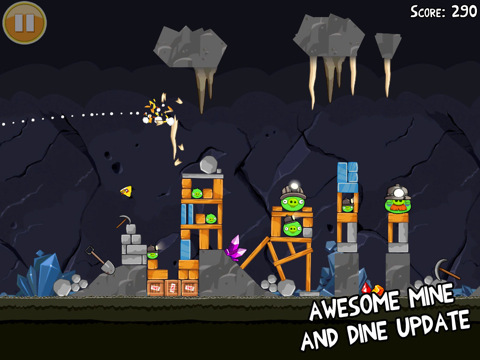 - 15 new levels for the Mine and Dine episode! - Find more collectible jewels! 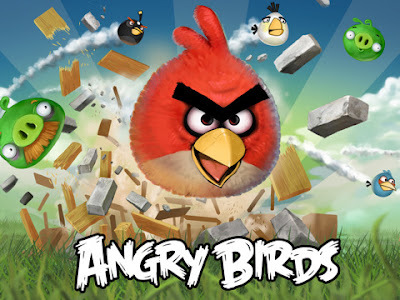 - Problems with loading times when starting Angry Birds? We fixed 'em! You can purchase Angry Birds HD from the App Store for $1.99. Angry Birds for iPhone costs $0.99.